Our state-of-the-art facilities enable us to deliver innovative programs for students through local and international partnerships with various organisations and providers. All students from Prep to Year 7 will undertake the study of music with a specialist teacher. Beginning in Prep, students will develop their understanding of music theory and performance and will experience music as a vehicle for enjoyment and communication. Our state-of-the-art music facilities provide the perfect environment for students to compose, practice, record and perform with a variety of instruments. 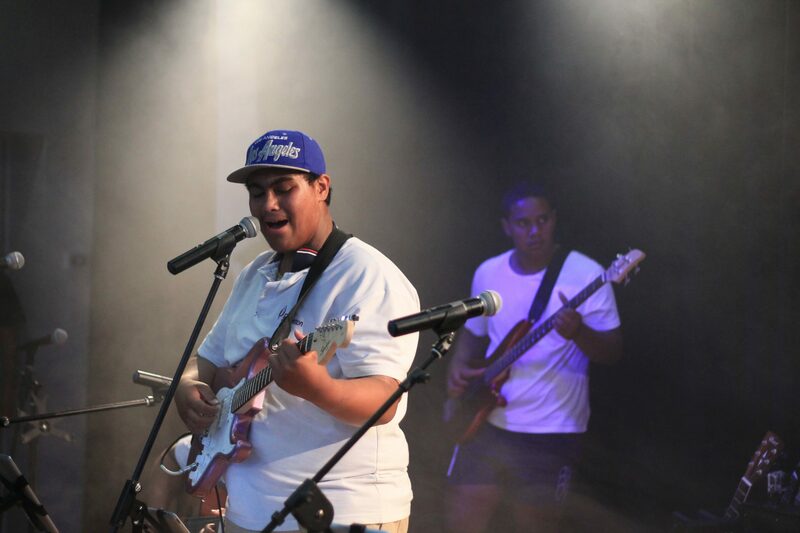 Specialist music teachers from the internationally renowned Musical Futures program teach our students to learn music in our multimedia studio and performing arts theatre. 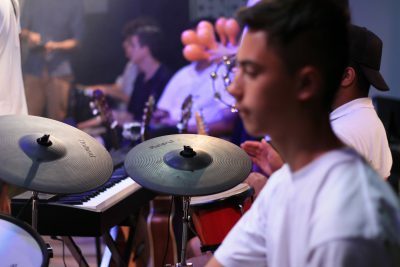 Musical Futures is an innovative, hands-on approach to music tuition, based on the philosophy that music learning works best for young students when they are involved in making and performing music themselves. The program is designed for the middle years of schooling, focusing on 10-15 year old students, because this is the age when students tend to lose interest in learning music at school. The Musical Futures program now has a high performance element where students who excel or wish to excel in the studies of music can have more specialist support. Our partner, Soundgarage, has the Australian licence to deliver the Musical Futures program in Australian schools. Doveton College in conjunction with Doveton Live has a cutting edge multimedia program with student outcomes winning awards around the world. Programs include animation, documentary, working in a 3D Virtual World, 3D printing and audio visual creative outcomes. Students invest in their innovative output with the results exhibited on the College Youtube channel, at school celebrations and film festivals. The Doveton Live animation program implements cross-curricular teaching to produce sets, characters and stories encouraging multidisciplinary learning and understanding. The program has consistently produced work that has won a number of awards including multiple ATOM awards celebrating the best of Australian and New Zealand screen content from the education sector and screen industry professionals. Doveton Live Virtual World Program engages students in field specific communication scenarios as well as development of tools for creating a variety of virtual environments. In addition, Virtual World is used to stage art exhibitions where finished student art work can be viewed in galleries designed and built by students. The practice and simulated experience in the Virtual World not only builds skills and self confidence but also emphasizes important techniques in design. Students in the Doveton Live Futures Program are presented with an opportunity to engage with the community to produce documentary films. The program provides students with an experience of the practical challenges, opportunities and realities that arise during film making. The work produced has won ATOM awards. Doveton Live presents student created multimedia art, wearable art, visual art, design technology, puppetry and sculpture at the end of each semester in an innovatively curated exhibition In A Frame. The exhibition is interwoven with student produced sound design, live projections, installations and a Virtual World viewing gallery. With rich tasks across the College we engage students as active participants in their own learning journeys. Specialist programs allow our students to thrive. We offer a variety of specialist programs from the early years through to year 9. Students in Prep to Year 6 will undertake studies in Art. Students engage in visual arts, materials technologies specialisation, systems and engineering principles. Throughout the year students rotate through a number of learning tasks from each of these Design Technology and Arts streams over the year. Students study food technology as a core subject in year 7 and then choose from a variety of food electives in years 8 and 9 that run for a full school year. Food plays a vital part in our lives. We see it in magazines, on the TV and on our plates every day. We can’t live without it! In Year 7 at Doveton College, you will apply the design process in the Food Technology kitchen to investigate, generate, plan, produce and evaluate a variety of foods using multiple production processes. You will build confidence in working safely with a range of common kitchen utensils and domestic appliances including knives and ovens. You will investigate the way different foods grow and you will develop a knowledge base of nutrition and learn to make healthier food choices. You will learn both teamwork skills and how to work independently in the kitchen. 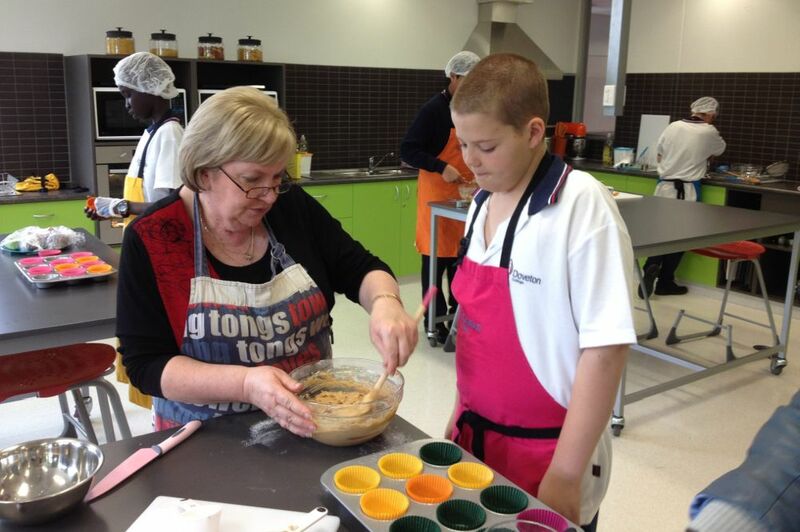 Come and discover the magic of food at Doveton College. In Year Eight Fantastic Food, you will learn vital skills in food preparation that will be beneficial for the rest of your life. You will be chopping like Gordon Ramsay, you will learn about the food danger zone and you will investigate the chemical reactions and nutritional properties of different foods. You will prepare foods from a range of native and international cuisines like sushi, tacos, spaghetti and meatballs and rice paper rolls. You will then put all these skills to the test through answering a design brief to create your own healthy meal. You will investigate a variety of healthy food items, generate your own ideas, then plan, manage and produce your chosen meal. As with Year 7, you will learn even more presentation techniques and one student will be declared chef of the day in each class. Come and join us in the kitchen! Do you have what it takes to win MasterChef? In Year 9 not only will you build on the skills learned in year 8, you will explore possible career opportunities related to food, such as a chef or caterer in a hotel or resort or on a cruise ship, or even a celebrity chef. You will learn various cooking and presentation techniques for preparing food like sweet chilli chicken pitas, gnocchi with sausage, tomato and eggplant, chicken and mushroom pies with saltbush and pepper berries and Asian-style salad with marinated chicken. Your production classes will focus on making soups, entrées, mains, accompaniments, sides and some limited dessert products. You will investigate the nutritional value of various foods and its effect on the human body and you will use the design process to demonstrate your own creative food preparation and presentation skills. Come and learn to be a Master Chef! All students study Art with a specialist teacher. In years 8 and 9 students can choose Art electives. Installation art is an area that hones the eye and expands the mind. In a world where our finite resources are constantly depleting we need to find a better way. Can something beautiful be made from a product that has outlived its useful purpose? Can you reinvent the material into an item that will inspire those that follow you? Students will visit a number of recycling businesses and collect products to use in a collaborative project. This will give you the skills to create your own individual piece to fit conditions of a design brief. Students will then exhibit their work on the runway in our very first fashion parade as a part of In a Frame exhibition. This will be an opportunity for students to make a statement that could see them revered for years to come. In Animation Characters you sit, staring out the window as images play across your minds eye. The marker is held loosely in your grip, hovering over the page. You start making marks on the paper and your character begins to take form. With each stroke, you breathe life into your creation; the image is a stark black on white as you watch the ink dry on the page….Students will study Asian character art such as Manga. After completing an artist research project, students will visit a gallery to view artworks that might inspire their own character. Students will work to develop a drawing of their character using copic makers, to create and original work that can then be transferred to clothing and other textiles as the final art piece. Are you inspired by fabulous fashions? Do you love the idea of working on costuming? Thinking out of the box and making something that you believe no one else would make. Students will visit a gallery and thrift businesses to collect items to inspire and create designs for a collaborative project. This is a mix of industry awareness of production processes and experiences that will inform future generations of how we can reinvent products to become more sustainable for our planet. This is all about understanding big picture thinking and what we can do at the ground level to reduce the amount of finite resources used to create products. Students will exhibit their creations on a runway that they will build as a part of the In a Frame exhibition in Semester 1. All students in Year 7 study Design Technology. In years 8 and 9 students may choose Design Tech electives as described below. Are you curious about the way things work? Do you like to tinker? Then choose to become part of the Tinkering Studio in Year 8. 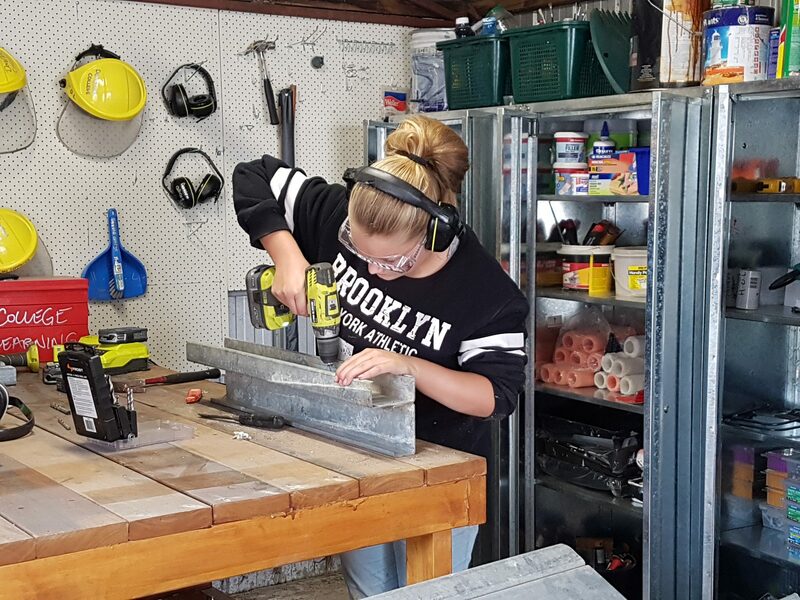 Students will be exposed to a range of materials such as plastics, wood and metal and learn construction processes and technologies that enable them to incorporate these materials into a final product. During the Tinkering Studio students will work on a collaborative project that will give them an opportunity to experiment with and test materials and techniques. Students will then produce their own individual piece that focuses on their specific subject interest and expands their manual skill dexterity and working subject knowledge. If you like to see ideas come to life, you like working with your hands, if you are a maker then this is the subject for you. During Maker Space students will deconstruct working electronics and reinvent them into new and exciting machines. Learners will work collaboratively to create characters based on the 24 character strengths. Students will learn to use a range of workshop tools and equipment safely when using specific manipulation techniques. They will develop knowledge that will enable them to manipulate a variety of materials, giving them the skills to design, deconstruct and make their very own creature like Dr Frankenstien….it is alive. During semester 1 students will visit the Top Designs exhibition and explore other galleries to prime them for their research project. You will then develop subject specific manual materials manipulation skills in order to create a collaborative project. Students will work with mixed materials such as textiles, plastics, wood and clay to create a collaborative project for use by our Early Learning Centre students. The collaboration will see multiple materials and systems used to produce a piece that is durable and safe to use for the younger learners at the College. Challenging conditions set in the design brief will enable student to expand their knowledge of the world around them and strive for excellence in the quality of their work. Students will then work independently towards their own design and creation of wearable electronics pieces, which will become a part of the In a Frame exhibition at the culmination of the semester. Do you like the idea of robots doing jobs to make your life easier? Will you be able to create an artificial intelligence that will one day rule the world? In this subject, you will focus on systems and engineering processes to create working robotics to fit a design brief. You will work on a collaborative project that will include STEM critical thinking processes that will enable us to build a working aquaponics device for the school science department. Independently students will generate product solutions to a set of design brief conditions. Multiple materials will be used in the final pieces, which will be exhibited as a part of the In a Frame exhibition at the end of Semester 2. 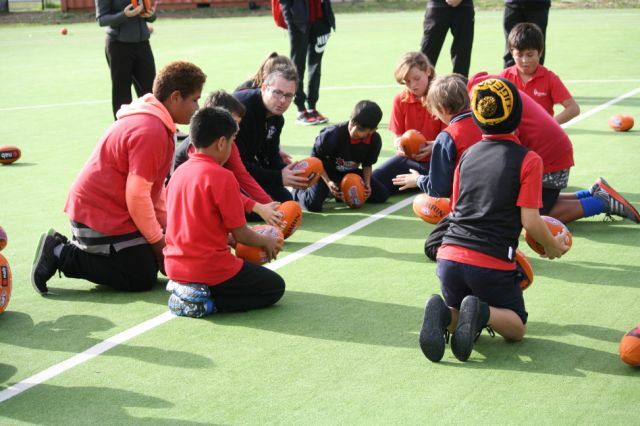 Students take part in sports programs and skills clinics taught by top coaches from the community organisations we partner with. Year 8 and 9 students undertake the ‘Futures Program’ designed to engage students’ independent thinking and creativity. Students will rotate through different blocks during the year. Students will spend all day Wednesday working on the following themes. Following the completion of each block a seminar day will be held where students will come together to showcase their learning, hear from guest speakers and participate as a year level in group activities. The Apprentice unit places the student in a game of decision making where choices have to be made and decisions justified. The focus is to challenge the students to decide between needs and wants, immediate and future possibilities, long term and short term returns and the social, emotional and economic returns. Decisions need to be made across a number of areas in life and all decisions have costs and benefits. Risk is therefore a factor in all decision making. Students discuss how success varies according to different situations and settings, not all success is clear cut or obvious; and how success is best judged against a criteria. The War on Waste unit aims to develop skills, knowledge and values that promote behaviour in support of a sustainable environment. It aims to empower students to assume responsibility for creating a sustainable future. In the course, students calculate their ecological footprint and study evidence that shows that our present situation is unsustainable in the long term. Students also undertake an analysis of the school’s management of resources and facilities including energy, waste, water and biodiversity. Through real-life learning experiences, students design and implement actions that can contribute to a more sustainable future. These experiences include creating a blog on sustainability and sustainable maintenance of the planet. This unit looks at mental self-defense and awareness for today’s school lifestyle. Students develop increased awareness of their emotions, the impact of their attitude and an ability to know and accept themselves. We discuss the students’ options, choices and consequences and explain how their consequences create the culture that shapes their day-to-day life. Students leave with a vastly deeper understanding of how to control difficult situations, how their attitude impacts on their successes and a feeling of empowerment to change their lives for the better. Throughout this unit students will be learning about safe decision making when it comes to intimate relationships. They will investigate the physical, social and emotional impact of what it means to be sexually active. Students will learn about contraception and sexually transmitted infections and be informed about ways to prevent an unwanted pregnancy or contracting an STI. Morals and Ethics’ explores the values and principles that determine standards of human behavior. It provides an opportunity for students to investigate and evaluate different opinions and value systems and how to compare them to their own beliefs and ideas. Most importantly it promotes critical thought, which is an essential practice for any are area of study. In this unit students will be making a special study of Australia’s ethical and moral obligations towards refugees and asylum seekers. Students will explore the topics of mental illness, alcohol, drugs, smoking, nutrition, relationships, resilience and exercise in an attempt to understand what it takes to lead a healthy lifestyle. They will celebrate this unit through participating in a class party based on the ‘Party Safe’ guidelines. All students are exposed to negative behaviours and they require the facts related to mental illness, alcohol, drugs, smoking, nutrition and exercise. To assist them to lead a healthy lifestyle students will develop resilience and an understanding of the characteristics of a happy, successful adult. During the 6 week futures unit you will begin to understand the impact we have on the natural environment through experiential education. Through this unit you will have the opportunity to visit local natural environments and challenge yourself by engaging in outdoor activities. You will be challenged physically, emotionally and mentally as you navigate your way through what it means to be part of a successful team and how important you role is within this team. The Careers unit asks the question ‘Who am I in the world of work?’ Throughout the unit students will begin to identify their personal values, strengths, skills and passions. Using a range of personality type indicators students are able to further understand how they think and learn. They will investigate different careers and pathways to becoming employed in a chosen career. The Create Documentary Film programme uses media as a tool to explore social issues in the community. It aims to produce a short documentary which reflects a concern of the students in relationship to their community. By the end of the seven weeks the purpose is to enable students to connect to social concerns in their community using ICT presented through student voice. Students will dabble in the news, investigate College stories and raise News items for a newsletter. The combination of photography and journalism will create an informative communication for the College community. The City Experience Programme aims to immerse students in new, challenging and diverse experiences in an off campus setting. Student will have the opportunity to develop an understanding of our State Capital, Melbourne, by planning a tourist day trip out in their groups and acting as a tour guide to the rest of the class. The groups will plan a day with a focus in mind eg. history, architecture, government services, geography, commerce/retail/business, sports, arts, people (volunteers/charity services), immigration etc. We aim to access as many free or minimal cost venues as possible. Students will plan their trip from Doveton College, to the city using public transport and use maps/IT to lead the group to their destined activities and back home again. Each team will have a mascot which must be visible in pictures to use for their blog/ppt/photo journal. 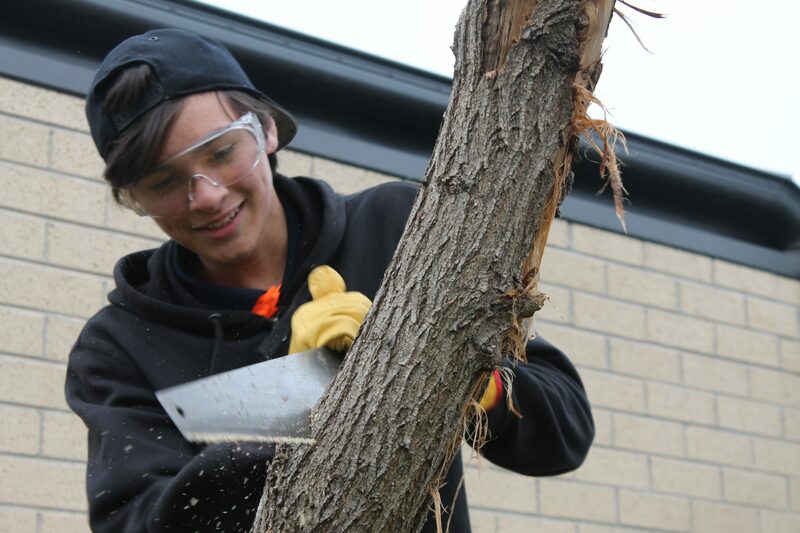 The Doveton Service unit aims to encourage students to become responsible and active citizens as they undertake service within the community. Students step outside of their familiar environment and expand their experiences in the wider community. Doveton Service is designed to strengthen a student’s civic engagement while broadening their educational, developmental and social goals. Throughout this unit students will be learning about what it means to have and maintain healthy relationships. They will investigate different types of relationships and possible challenges they may face. Students will also explore the physical, social and emotional aspects of a relationship. Students will learn about gender identity, sexuality and safe decision making when it comes to sexual health and intimacy. Year 9 – Creating a 3D Virtual World with Augmented Reality components. Students will work in design teams to build a 3D space for Foundation-5 students to display their work. Students will facilitate the junior students in presenting their work in a cutting edge environment. The students will use combined software and apps to design and build a virtual structure to meet the needs of the design brief set by the client (Doveton College art department) Throughout this process they will record their learning and project development in a digital journal, combining text entries, still photography and video recordings of their work. These recordings will become an individual film project shot and edited by the students. The Careers unit asks the question ‘Who am I in the world of work?’ Throughout the unit students will begin to explore job possibilities and why it is important to join the world of work. They will begin to develop a resume and cover letter in preparation for sitting a mock interview at the Australian Taxation Office Dandenong. In this subject, students will be challenged to leave their mark on the College. They will work collaboratively to plan and fund end of year graduation ceremony and celebrations. The Hands On Learning program is an external classroom education program that caters for the different ways young people learn. One day a week, two artisan-teachers work with a small group of students fostering teamwork and leadership. 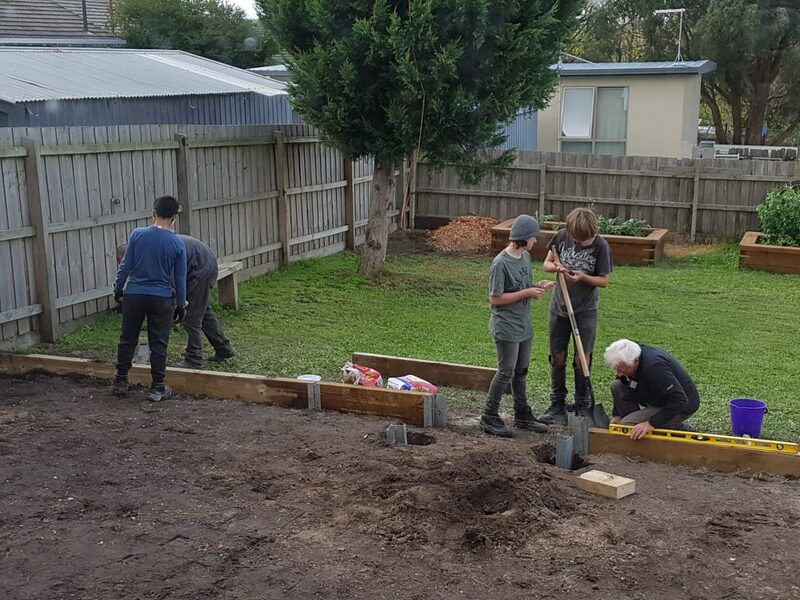 Students and teachers share a full day working together including, morning tea and lunch to complete different projects for the HOL house, for the school and for the wider community. 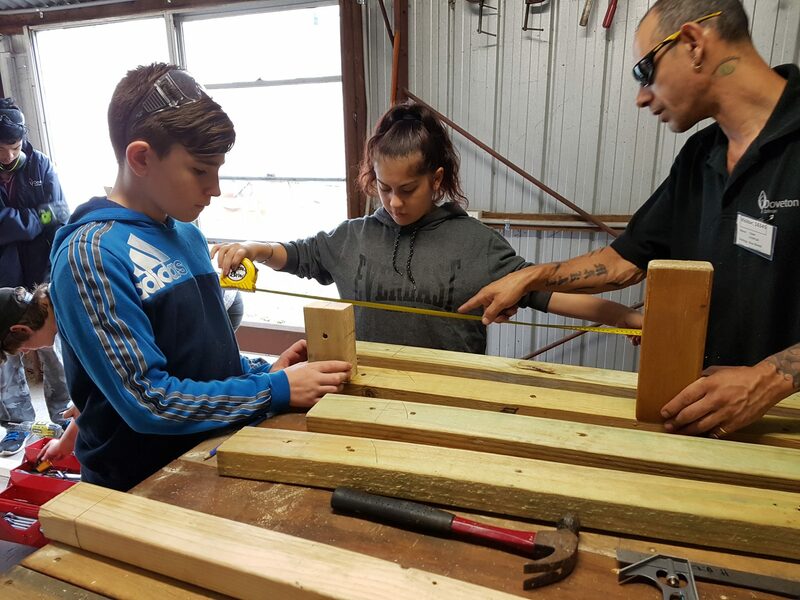 The Hands On Learning program helps young people develop the skills and abilities they need to succeed in work and life. They achieve success at teamwork, problem solving, communication, resilience, empathy and creativity. Performing Arts at Doveton College is an exciting journey that begins in Prep and continues all the way through to Year 9. Our students learn to become all round performers. Starting at foundation skill level, students learn to become proficient at using puppets and masks to create characters for short performances. Students learn to use both their voices and body language to express themselves in creative ways. Public speaking, mime, dance and singing are all explored in fun and exciting ways to create in-class and whole-school performances. In the senior school specialist subjects, students learn industry skills such as how to design lighting for their own productions using our M2GO lighting desk. Students explore all of the stagecraft elements by taking on roles such as sound technician, backstage crew, ticketing managers and front-of-house. Year 8 and Year 9 elective students produce their own whole school public performances each year and are responsible for all of the design components and creation, including all sets, props, costume and make up. Students also have the opportunity to have their own work produced. 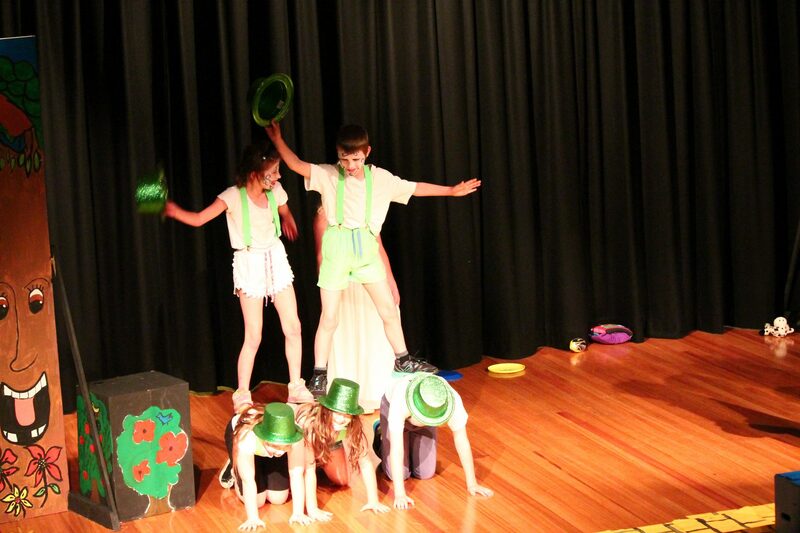 Doveton College has already proudly produced many fantastic shows written and directed by students. 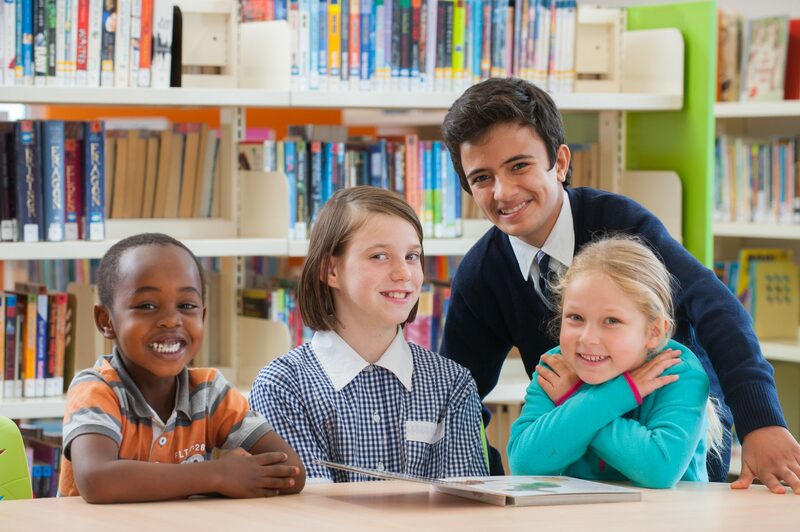 At Doveton College we acknowledge that, no matter how good the classroom instruction, some students will require extra support to reach expected academic standards. We are proud to have an intervention team that meets the needs of these students. We offer intervention in areas of: EAL (English as an Additional Language), Literacy and Numeracy. 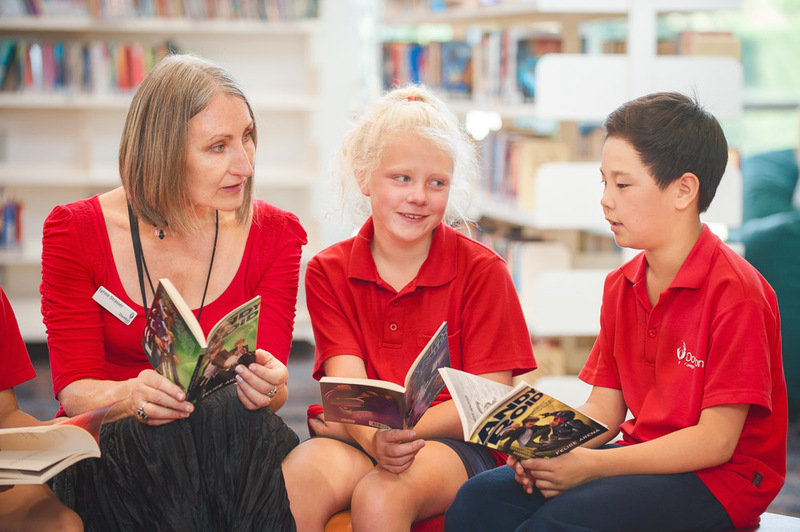 Our Literacy intervention targets comprehension, and is based on Fountas and Pinnell’s Levelled Literacy Intervention (LLI). The program involves small groups of students working on authentic reading material with a teacher or support person. Numeracy Intervention at the College consists of two programs, EMU (Enhancing Mathematical Understanding) and GRIN (Getting Ready In Number). The intervention teachers work closely with the classroom teachers to ensure that together we can provide the best education for every student.